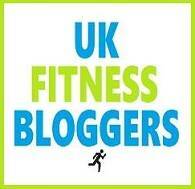 This year I was honoured to be asked to be an ambassador for the Women’s Running Race Series. 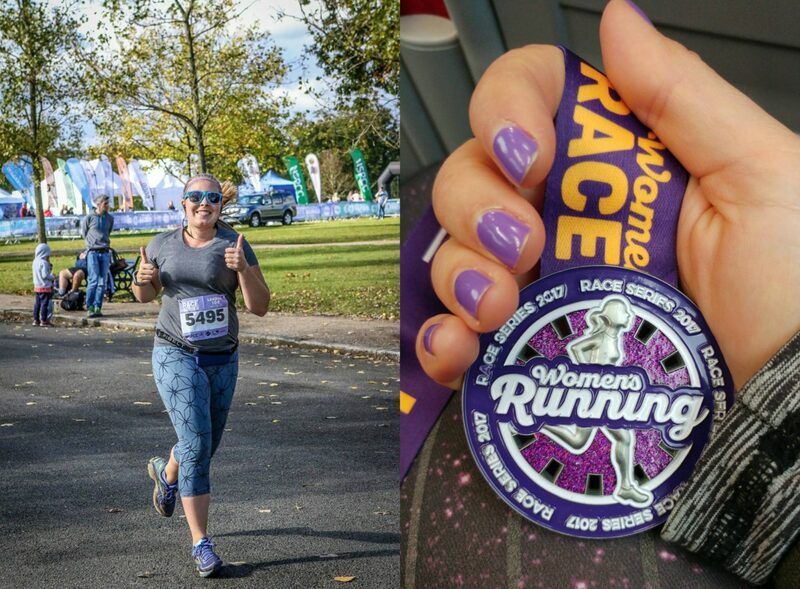 I’ve taken part in several of their events previously, and it was amazing to be featured in the magazine and on their website, alongside some other fantastic runners and bloggers. 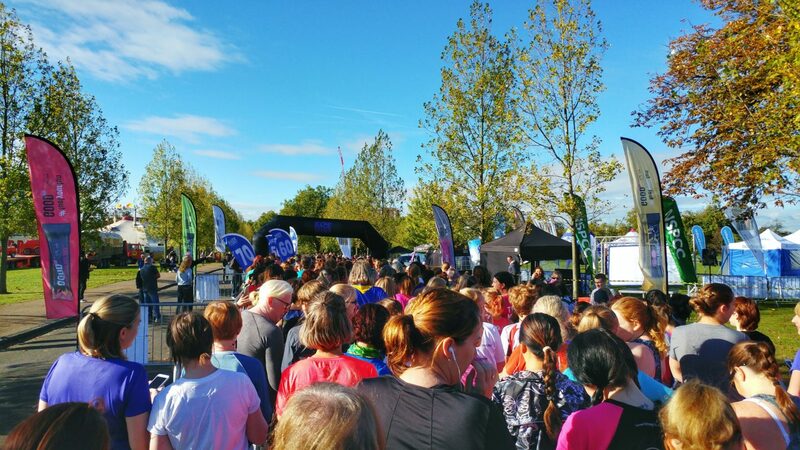 A couple of weeks ago I ran the Women’s Running Finsbury Park 10k, the last event in the series for 2017. This year there was a 5k and a kids race too so the whole family could get involved – James and Blake came along as my cheer squad which turned out to be much needed! The Women’s Running events are always so friendly and welcoming and the Finsbury Park 10k was no exception. They’re relatively small races, but with a celebrity-led warm-up, pacers and product stands in the event village they don’t skimp on the experience. 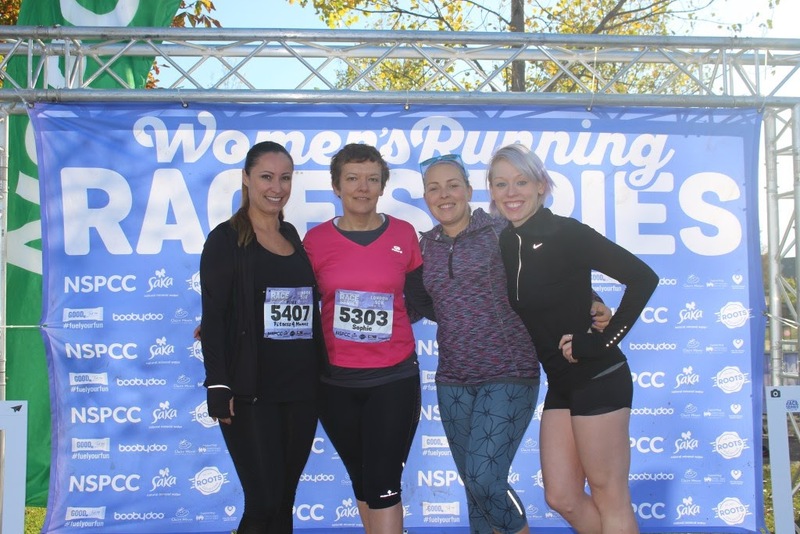 It was great to get a pre-race photo on the podium with the other London race ambassadors – Mirka from Fitness4Mamas, Emma from Lipstick and Trainers, and Sophie from Running on Full, all lovely ladies and super inspirational with their running achievements! 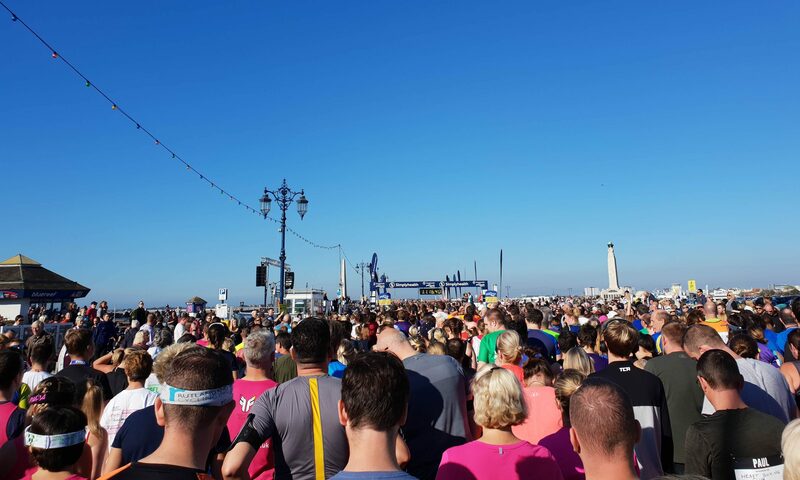 As you can see from the photos it was an absolutely gorgeous morning and ended up being really quite warm (seems to be the theme of my races over the last couple of weeks as Manchester Half Marathon was the same!) which was a bit unexpected for October. The autumn leaves in the park looked lovely though and for the first couple of kilometres I distracted myself with my surroundings. However it became clear pretty quickly that my breathing was getting quite tight and I felt like I was struggling quite a lot, or at least more than usual! My asthma is usually pretty well-controlled and tends to only get aggravated during really cold weather. But for whatever reason it decided to flare up during this race and despite grabbing my inhaler from James after the first lap, it never really eased. Whether this was down to the bonfire we’d had in the back garden the previous day, the muggy weather or the fact that I was feeling a bit ‘cold-y’ I don’t know, but while I knew I could (and would) finish the race, I had to accept it wasn’t going to be a personal best. 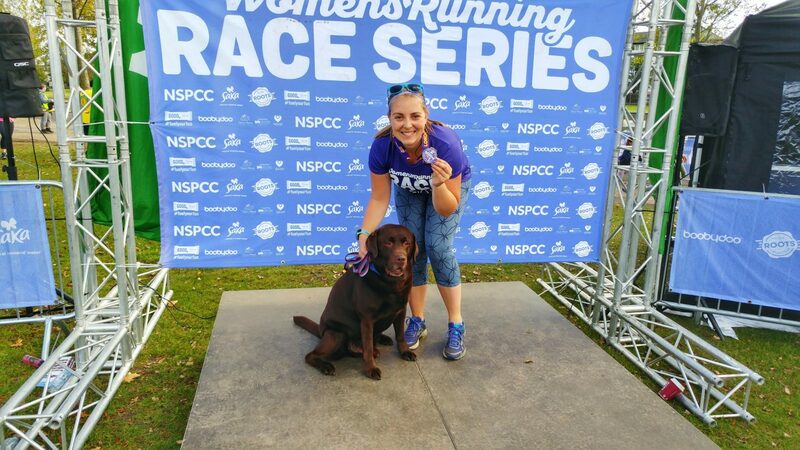 These are some of my top tips for racing with asthma and how to deal with an event when your asthma just doesn’t want to play ball! Always carry your inhaler with you – I gave mine to James to hold to start with as he was spectating and walking around the course with Blake so I knew I would see him multiple times. However once I’d noticed my breathing was getting difficult and I’d grabbed it off him, I put it in my pocket so I’d have to hand just in case. 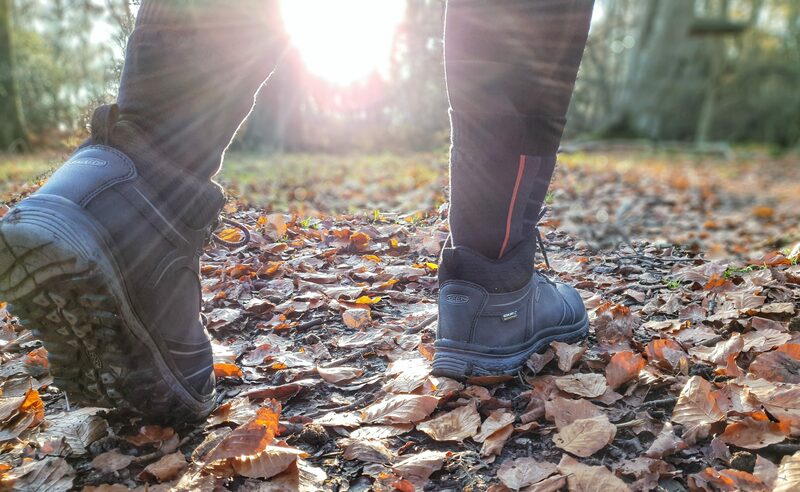 Dress for the occasion – this can be pretty hard right now with the weather being so unpredictable! But I would suggest wearing layers, so that even though race morning might be freezing cold and make breathing difficult, you can then strip off when you get going and warm up. Lots of races will take discarded clothing and donate it to charity too which is nice. Adjust your expectations – running with asthma is a challenge, and you should be proud of the fact that you’re just getting out there! If you feel like you’re having an off day, then cut yourself some slack, appreciate that you might not be busting out a PB, and focus on (safely) finishing the race. This shouldn’t of course be at the expense of your own health but it was quite nice to just take my time, play leapfrog on the course with Bethan (A Pretty Place to Play) and her mum (not literally, we just kept overtaking each other), and enjoy myself! 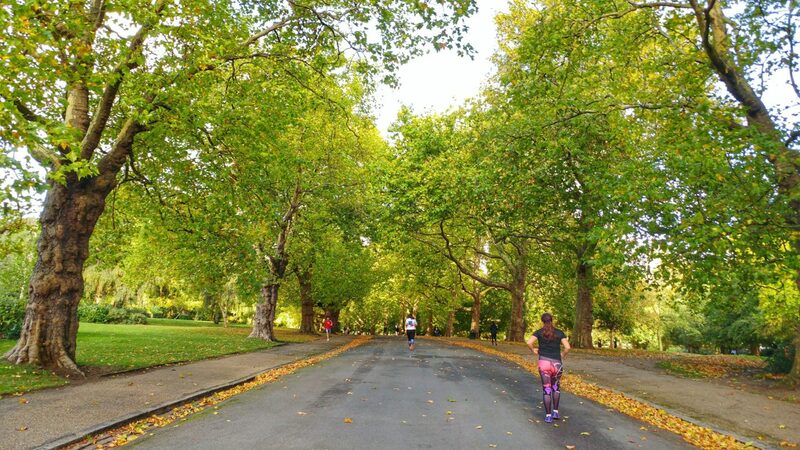 Focus on the positive aspects of the race – for me this was admiring the beautiful surroundings, enjoying running the downhills (and walking the uphills) and hugging Blake (and James) every time I passed them. Blake got so much attention from all the other runners too, he loved it! Recover well – if your asthma still isn’t under control after the race then you may need to seek medical help. However, while I was a little wheezy for a short while afterwards, once I’d had a shower and a cup of tea I was fine! I was definitely OK enough to get a great finish line photo and claim my fabulous glittery purple medal which I LOVE! You also get a technical t-shirt which is always a nice race bonus when it’s included and gives you something to change into if you’re a bit hot and sweaty (like me). Are you an asthmatic? Even if not, how do you deal with overcoming challenges on race day? NB: I was given an entry into the Finsbury Park 10k as part of my ambassadorship with the Women’s Running Race Series. I have developed asthma recently after moving to the UK and it really set me back in my running… Going from easily running a 15K to struggling through a 5K was a bit discouraging but I persevered and am slowly getting back to where I was two years ago. I think what you say about adjusting expectations is right on point! 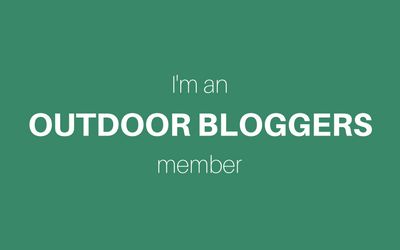 I just found your blog, and I LOVE the name! I’m a fellow asthmatic and beginner/intermediate runner and cyclist. Cold air does affect me, but since I live in Atlanta, Georgia, I’m usually more focused on the heat and allergens/ urban irritants (up to 90F/ 32C this week). 1. Allergy drops (like shots but way better) changed my life. My overall inflammation level is lower, so an incredible side effect is that my asthma is much easier to control. 2. Whether cold or hot, the biggest thing I can do during my workout is to focus on breathing through my nose. It sounds like nothing, but it’s actually a game changer. I wish I could tell you that one of the (many) asthma specialists I’ve visited in my life shared this tip years ago, but no… this is one I discovered this past winter thanks to an article a friend shared about the high number of Olympians with asthma. 1. Do you pre-medicate? This was drilled into me for years and years, but I’ve been able to stop recently thanks to the modifications I mentioned along with my long-acting inhaler (Qvar) and generally improving my fitness. I still always carry my inhaler for safety. 2. Have you ever tried a balaclava-type nose and mouth cover? I’m thinking about trying one after reading more about the importance of filtering and conditioning air for asthmatics. I’m wondering if it will help once I’m past the point of nose-breathing. I wear one when skiing and strongly prefer the breathable fleece versions to the ones with outright holes because of the way the fleece ones warm the air. I’d love to find a sweat-wicking one that would help filter out the spring & summer pollen, but I’m also afraid that I’m going to look like a sweaty bank robber! PS I should have added– I found your blog because I have the same road bike as you!